If you are a contractor, roofer, electrician, HVAC, etc. owner, then you know how important it is to keep track of your crew and your trucks. 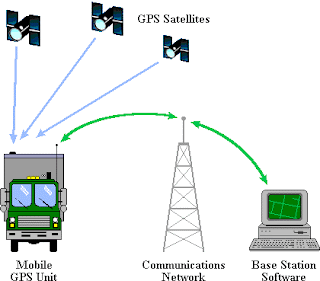 GPS Fleet Tracking solution delivers efficiency in almost every aspect of your organization from administration to streamlining routing. A side benefit is better maintenance costs due to less wear and tear on your vehicles. Tracking vehicles means your drivers are staying within posted speed limits thus reducing engine and tire wear. Vehicles are automatically slotted for regular service which means they are being looked after better and as a result stay in tip top condition. Vehicles also experience less off-hours usage, saving on fuel and maintenance. As a manager you are in better control of your fleet, unauthorized usage is virtually terminated as those activities are instantly identified and stopped. Should one of your vehicles be stolen, it is immediately tracked and found. Alerts can be set up to let you if any vehicle moves outside of it geographical area. Ranking right up there as a major benefit is optimizing route planning by avoiding heavy traffic areas, real-time examination of routes so pickups and deliveries are made in proper sequence. And just knowing where your drivers are so you can alert customers of arrival times. Many insurance companies offer a discount for companies with Fleet GPS Tracking, because monitored vehicles and drivers take better care and bad driving habits are reduced thus cutting back on accidents. Of course as stated earlier, theft control both for the vehicle and loads is highly reduced, again reducing insurance costs.